The surroundings of Rodengo and the entire alpine region Gitschberg Val Giovo are a true paradise for hikers. On the hiking maps, there are so many varied routes; it will be easy to find the perfect itinerary matching your personal wishes and demands. After all, there is a great abundance of natural beauties in our region – it is simply impossible to discover them all during a single tour. 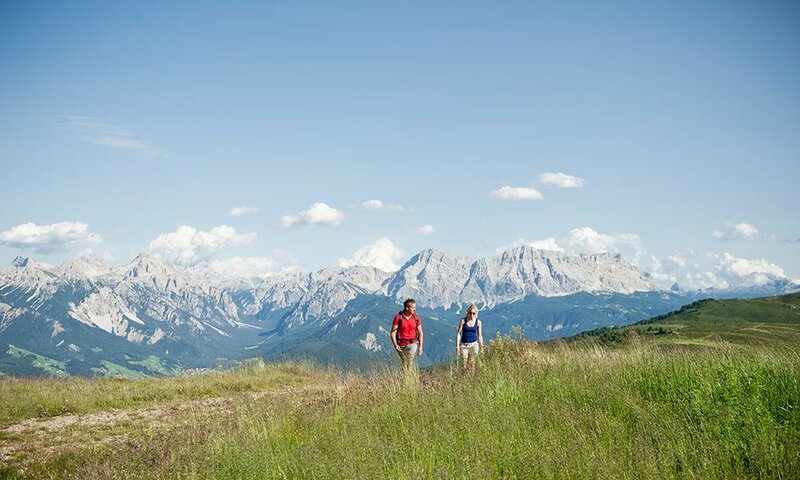 From our hiking hotel in South Tyrol, you will have easy access to all different hiking areas – Furthermore, with the AlmencardPlus you may use all cable cars and public transport free of charge. What are you looking for? 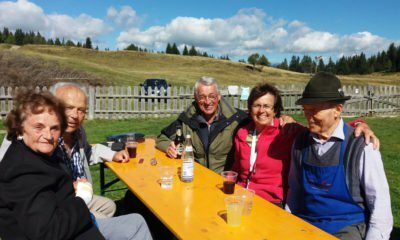 Maybe you wish to discover one of our 30 idyllic alpine pastures and enjoy a hearty meal in an alpine hut. Walk on high-altitude trails over green mountain meadows that lead you to stunning panoramic views of more than 500 peaks. Conquer the peaks in the glacier regions; or enjoy a theme hike along romantic flower paths through orchards to mountain farms and marvellous sites? In your hiking holiday all this is possible. Take a tour to the Alpe di Rodengo near our hiking hotel in South Tyrol or explore the high-altitude trail in the Fundres Mountains. The untouched and wild alpine landscape and impressive mountain sceneries will fascinate you. 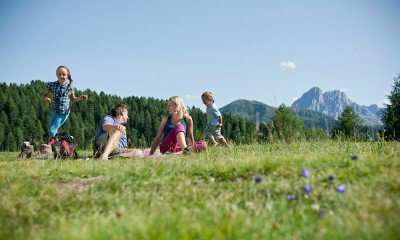 Guided circular walks in Rodengo are particularly suited for families with children. They are not so much a sportive challenge, but rather offer a leisurely stroll through the fascinating neighbourhood of our village with many interesting sights and local experiences. Take an herbal tour, a walk into the life of the bees, a visit to a dairy farm or discover village stories, where you will learn interesting facts about our flora and fauna, the economy and agriculture of days gone by and of today.